Hiya guys, it's finally Friday! Not to mention it's the last weekend before Christmas. I'm not looking forward to running around like a madwoman getting last minute gifts tomorrow. I hope you guys aren't sharing the same fate with me when it comes to that. I'm planning on also having a few posts during the weekend, which as you know is rare but the occasion cannot be passed by. For today I have another prompt mani for the Challenge Your Nail Art group and it's 'Ugly Christmas Sweater'. I think I've been looking forward to this challenge day since the start of December. 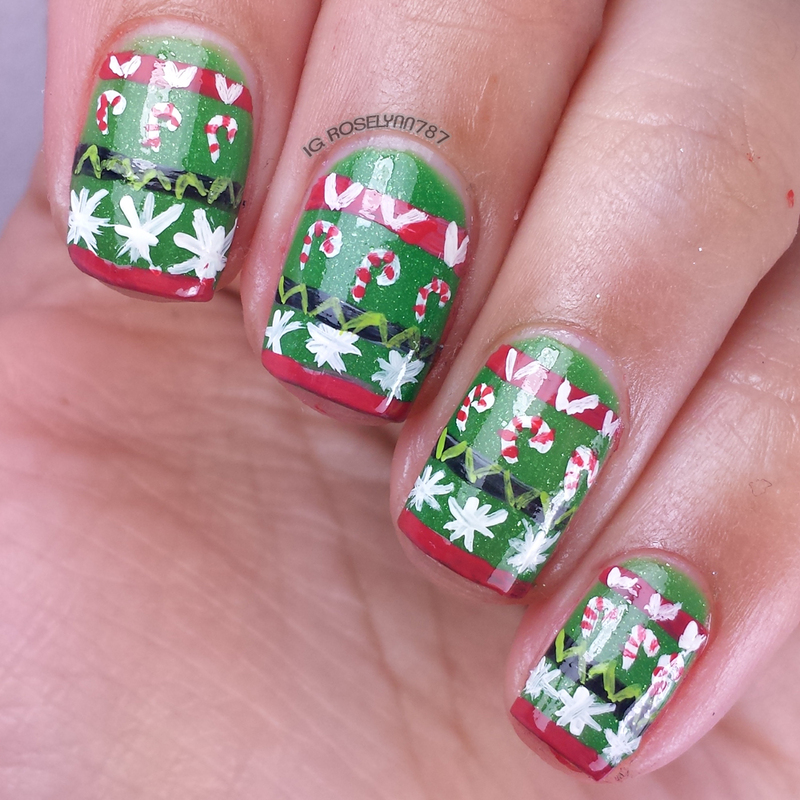 Take a look at the mani I came up with. 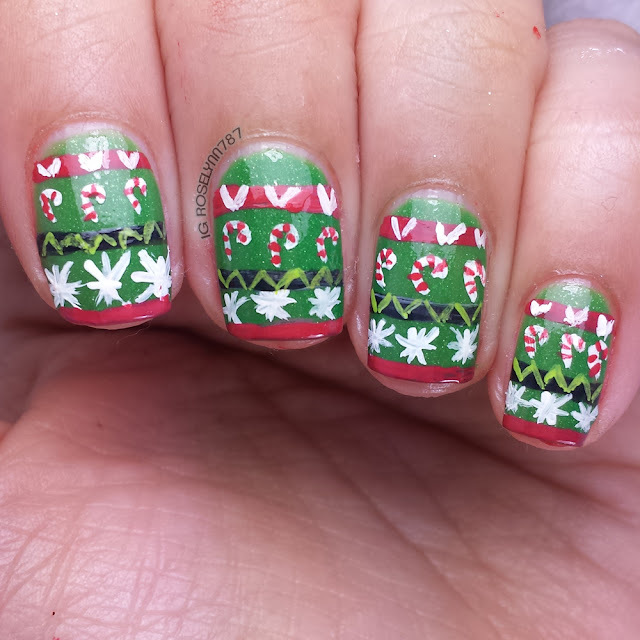 I have never done a Ugly Christmas Sweater mani before last night completely freehanded. At first I was going to just stamp, but I wanted to take on this challenge head-on. But then I ran into a problem with time and well I only had thirty minutes to get this done. Needless to say, it's far from neat but I am happy with the results nonetheless. As I said, I didn't have a lot of time to do things slowly and precise. Taking acrylic paint and a thin detail brush, I tried to paint as neatly as I could. I didn't have an image to base this off from so I just went with the flow of things and this was the outcome after thirty minutes. 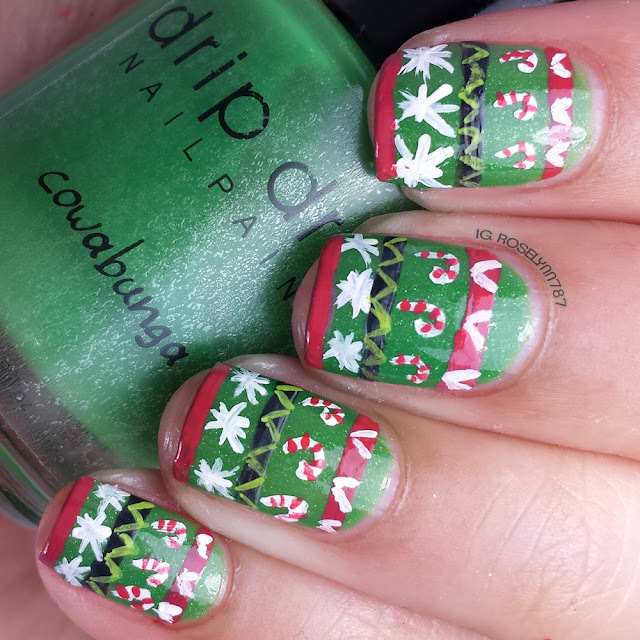 While I do really like how it came out, I think I'll be doing another one before Christmas that I can take my time with. Check out the other lovely ladies that have participated in today's challenge! You did this in 30 minutes?! Way to knock it out! !